*The following products were sent to me in exchange for my honest review. Today, I have for you the latter half of the KBShimmer summer collection. 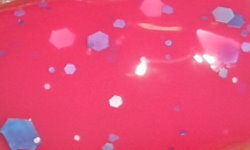 This collection is a mix of glitter toppers, bright cremes, jelly glitters, and a holo. I have 6 out of the 12 to share with you today. You can view the rest on the KBShimmer website. Happily Ever Aster is a mix of periwinkle, light aqua blue, purple, lavender, holographic, and white glitters in a clear base. 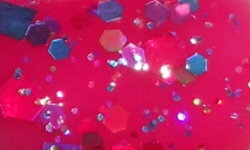 Peak My Interest is a coral-pink jelly base with white, pink, aqua, and periwinkle hex and triangle glitters. Sweet Wave is a mix of yellow, periwinkle, mint, white, and coral matte glitters in a clear base. 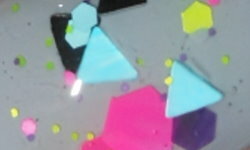 Scribble Me This is a mix of black, neon pink, neon green, purple, and aqua blue, hex, triangle, circle, and star glitters in a clear base. 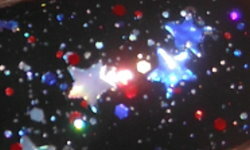 Red, White, & Blue-tiful is a mix of red, silver, and blue stars and mini hex glitters in a clear base. 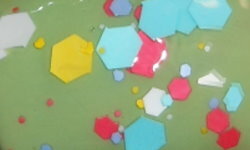 Look High and Holo is a raspberry jelly base with multi-colored holo hexes and squares. 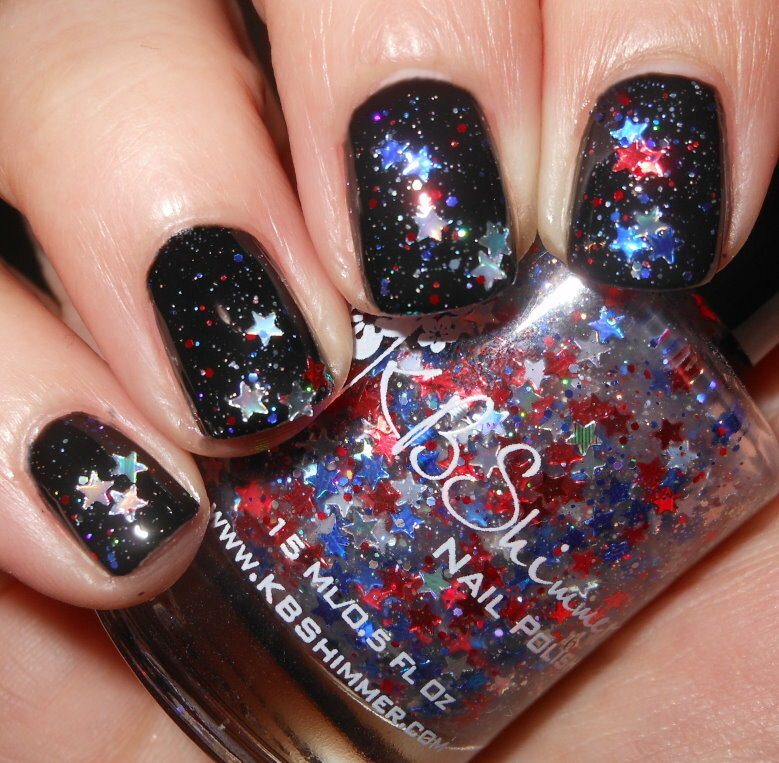 Colors: This is an exciting and fun mix of polishes by KBShimmer. The glitter toppers are as always creative and fun. 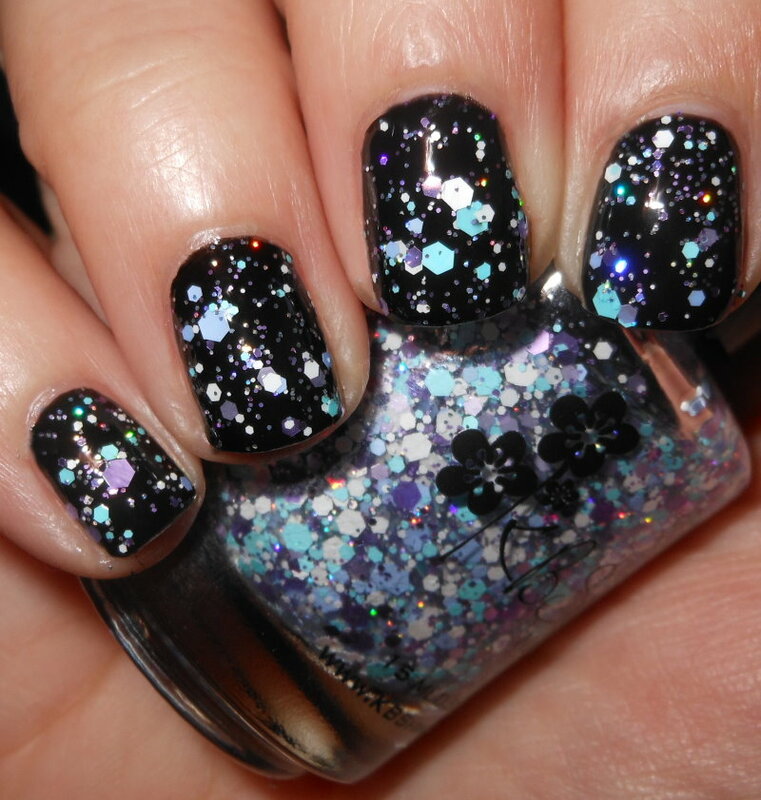 The jelly glitters are bright and summery. These are standout colors I'm excited to have in my collection. Formulas: The jelly glitters had a smooth and easy to apply formula. I used 3 coats each on those. Happily Ever Aster was a breeze to apply. Sweet Wave, Scribble Me This, and Red White & Blue-tiful needed extra attention to detail. These are better suited toward dabbing and more careful application. While I did not struggle at all to get the glitter out of the bottle, they did want to stick together and required to be placed on the nail rather than brushed on if that makes sense. I used 2 coats over a base with all glitter toppers. Price: The polishes listed above are all $8.75. The two cremes in this collection are $7.50. You can purchase these now on KBShimmer's website. Overall: I absolutely love this collection. I'm always impressed with KBShimmer's creations and like all the others I'm not disappointed. This collection was not as user friendly due to the larger glitters in some of the glitter toppers though. This isn't a fault of the formulation, it's just the nature of larger glitters. Personally, I'm someone who prefers and is more comfortable with quick and easy brush on application. Dabbing glitters isn't something I've perfected. There are people who don't mind this at all, and are comfortable with this type of application though. Your experience may vary, but these shouldn't be passed over because of that. 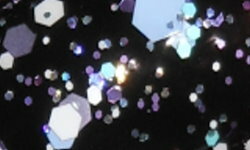 The glitter toppers are still excellent and high quality, they just require more effort to apply. These look really nice! I just love the shades KBShimmer comes up with.